The Trondheim Soloists, one of the most exciting classical ensembles currently performing on the international stage, has invested in 20 DPA d:vote™ 4099 Instrument Microphones to ensure that its amplified sound reaches the highest level of quality possible. The microphones were supplied by DPA’s Norwegian distributor, Lyd-Systemer AS. "Quality is key to everything we do and we never reduce our standards with regard to our musical performance," says Steinar Larsen, Managing Director of the orchestra. "Over the last five years we have applied the same principle to our live performances and have made a significant investment, in both time and money, to ensure that our amplified sound is of an equally high standard. Our decision to buy DPA d:vote 4099 Instrument Microphones is an extremely important part of this process." 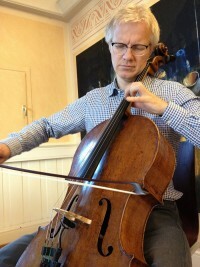 Established in 1988 by Norwegian violinist Bjarne Fiskum, the Trondheim Soloists began as an ensemble for training young string players and rapidly earned an international reputation for its energy and warmth. Under artistic director Øyvind Gimse, the ensemble has achieved five GRAMMY nominations in three years and has undertaken major collaborations with artists such as Anne-Sophie Mutter and Leif Ove Andsnes, as well as collaborations with pop, rock, jazz and folk artists such as Jon Lord, Ian Hunter and Antony & the Johnsons. Over the last five years the Trondheim Soloists has been working with producer Asle Karstad in order to improve the quality of its amplified sound during live performances. "Pop and rock bands always tour with a specific live sound engineer and I saw no reason why we shouldn’t do the same," Larsen explains. "Asle Karstad has an excellent reputation and came highly recommended, so Øyvind and I approached him and asked if he would become our producer for all amplified concerts." Karstad felt that to capture the true sound of the Trondheim Soloists on stage, he needed to get the microphones much closer to the instruments than would normally be the case in a recording set-up. The Soloists had been using 20 DPA 4061 Miniature omnidirectional Microphones for their live amplification, but after experimenting with the sound Karstad decided to switch to DPA d:vote 4099 Instrument Microphones because they were much better at rejecting unwanted noise due to their supercardioid characteristics and were still capturing the true voice of the acoustic instruments. Karstad explains: "During our experiments we noted that, when amplified, resonating instruments tend to show ‘runaway’ behaviour in the mid and lower frequencies. To control this behaviour we make acoustic ‘fingerprints’ of the instruments and their groups, and apply that information when amplifying. 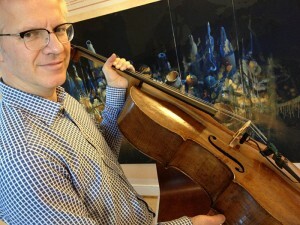 By doing this we can get very close to a natural sound." Measuring and tuning the sound system is also an integral part of Karstad’s approach and he tunes the system for every venue and concert to ensure a flat frequency response. Initially Karstad wasn’t keen to change from DPA 4061 miniature microphones to DPA d:vote 4099 Instrument Microphones because of their cardioid characteristics and because he felt they were too sensitive to changes in position and direction. "To me, the DPA 4061 Miniature Microphones gave a more even timbre from an ensemble," he says. "However, when the soloists were performing with louder rock and pop bands, we needed the d:vote 4099 Instrument Microphones to give much better isolation and gain before feedback. As we are constantly getting better at controlling mike positions - and because we are playing more and more concerts with pop and rock acts where we need the isolation from other sound sources - we decided to invest in the d;vote 4099s. I have to say that I am very happy with this decision as the microphones are performing flawlessly." The Trondheim Soloists usually play a classical repertoire but they also collaborate with a wide variety of artists in both live and studio settings. "These collaborations include working with Morten Lindberg, head of record label 2L," Steinar Larsen adds. "Morten’s recordings have received 14 GRAMMY nominations, six of which involved the Trondheim Soloists. We believe that playing with the best artists from many different genres will help us develop the quality of the orchestra. We are also very experienced in studio work and our most profiled recording projects to date are two releases on Deutsche Grammophon with Anne-Sophie Mutter – Vivaldi’s The Four Seasons and Bach’s Violin Concertos."